Traditionally, when people think of divorce, they think of a contested divorce. This is when you have a more aggressive situation in which the two parties do not agree on any terms of the divorce or even the divorce itself. Comparatively, an uncontested divorce is when the two parties can willingly agree and would prefer to settle everything out of court. When a couple decides that they’d like to file for divorce, but can’t agree on the division of property, possessions, or custody they can turn to a third party to help collaborate, negotiate, and work from a neutral perspective to help each person reach an agreement. If the two parties know that they want to agree on the terms, but they just can’t get to a solution themselves, mediators are usually an excellent option to push for a compromise that everyone can agree on, without forcing a decision that could potentially create more conflict in the future. Arbitration is much like mediation in the sense that both parties would like to remain out of court, but also need assistance through the proceedings because they can’t agree on the terms. However, in arbitration, a private judge is called upon to review the case, terms, and decide upon a resolution. This type of case is common, especially in situations where couples can only agree on the fact that they’d like to stay out of court. 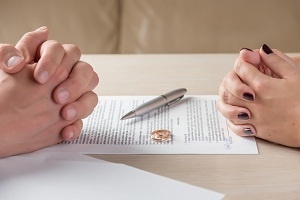 A Stephenville divorce lawyer can help further explain the details in these cases and more.